As the prosecution of Witness K and Bernard Collaery shows, the establishment of a police state in Australia is a bipartisan affair. Only one person has ever been jailed in relation to the CIA's torture program. Not the people who designed it. Not the torturers or managers of the "black sites" where it was carried out. Not even the people responsible for Afghan man Gul Rahman being tortured to death in Afghanistan. The person jailed for it was John Kiriakou, a former CIA officer. What did he do? He blew the whistle on the program, when the CIA was trying to cover it up and deny it existed. Kiriakou was jailed by the administration of the sainted Barack Obama. Similarly, no one has ever been jailed -- or even subjected to disciplinary action, or censure -- for one of the most sordid moments in Australia's intelligence history, the bugging of the Timorese cabinet by ASIS at the behest of Alexander Downer. The goal of the "operation" was to benefit Australia's commercial interests and gain an advantage over a fledgling state that needed all the help it could get to become viable after decades of occupation and a violent transition to independence. Instead, we sent spies in to bug them. It's Alexander Downer's legacy from all those years as foreign minister, that and outsourcing Australia's foreign policy to the Bush White House. This is Australian politics' biggest scandal, and the most powerful people in the country are ensuring you know as little about it as possible. We need to stop kidding ourselves that we're so different from the Chinese on surveillance and control. They just do it better than us. The resort to suppression orders by our courts undermines faith in the legal system and is used by the legal industry to avoid scrutiny. 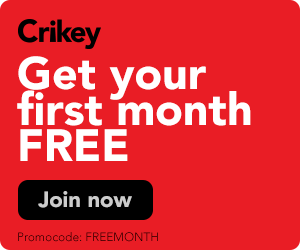 Crikey readers discuss the Witness K trial, the Victorian Election preference battle and Scott Morrison's religious bent.